Colonel Jon Vance and LCol Omer Lavoie join Charles Company in celebrating the Regimental Birthday with the Ortona Toast. With Operation MEDUSA, Canada's largest battle since Korea under its belt, the 1RCR Battle Group, has been in a steady state of operations securing the Panjwaii District of Kandahar Province since the end of September 2006. Realizing that the vast majority of his BG would be forward on December 21st, Lieutenant Colonel Omer H. Lavoie, Commanding Officer 1RCR BG, decided at the end of November 2006 to get the necessary ingredients together—namely, rum and brown sugar—so the soldiers of the BG could celebrate the RCR's 123rd birthday with The Ortona Toast. 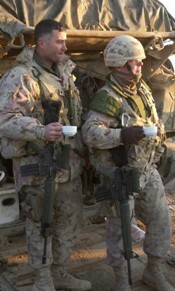 On the 21st of December, 2006, with Op BAAZ TSUKA in full swing, LCol Lavoie went from one location to another, visiting his soldiers on the front line and toasting the Regiment. His final stop was at Forward Operating Base Ma'Sum Ghar (FOB MSG), which sits on the south bank of the Arghandab River. As a historical location, it served the purpose admirably. On September 3rd it had been the assembly area for Charles Company when it had crossed the Arghandab River to secure Objective Rugby (Pashmul) and lost four soldiers in the ensuing battle. With the traditional china mug in his hand, LCol Lavoie explained the history of the toast to the assembled soldiers. He then added, "To my knowledge, this is the first time since the original Ortona Toast in 1943 that it has been done in combat." He then invited Colonel Jonathan Vance, Commander, 1st Canadian Mechanized Brigade Group, who was present on a visit, to lead the toast. 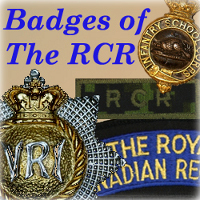 As a former Commanding Officer of 2RCR, Col Vance was the senior Royal Canadian on the ground. "To my dear friends," began Col Vance. "To all present, and to all those who departed, and in honour of 123 years service for the county," he added before concluding, "To The Regiment: Pro Patria!" "Pro Patria!" 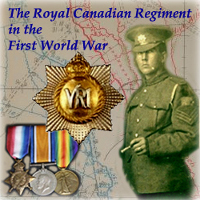 echoed the assembly who then raised their glasses and toasted 123 years of The Royal Canadian Regiment, on the field of battle, within sight of compounds and grape fields where so many of their friends had fallen, and so many of them had become veterans. At Kandahar Airfield, Regimental soldiers and officers also marked the occasion in similar fashion. Maj Lipcsey, Deputy Commanding Officer, rallied the troops to explain the historical significance of the Regimental Toast, while LCol Geordie Elms, who made the pilgrimage to Kandahar from his senior post as Military attaché in Kabul, led the toast within the Battle Group Headquarters compound. With cups raised, the soldiers from the Command Post paused to reflect on the history of Canada's oldest Regular Force Infantry Regiment. All in attendance could appreciate the significance of this year's toast.